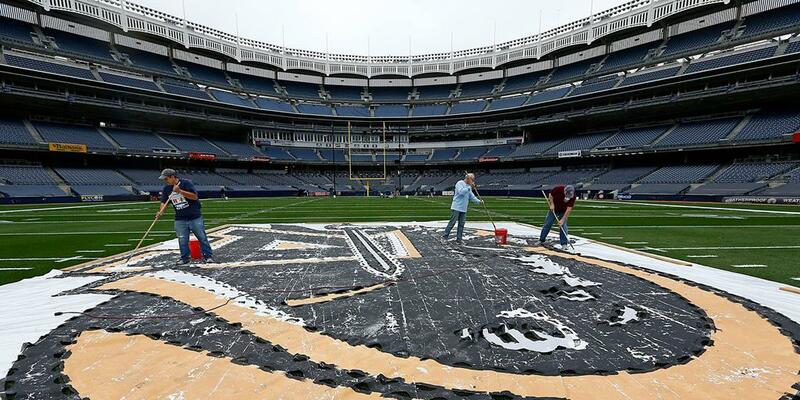 UConn pays a visit to Yankee Stadium tomorrow and while I want to be pumped for the game it's hard to even think about Army football this week. Sure, UConn - like Army - comes in with 2-6 record and a first year head coach. Likewise, similar to Army's 2-6 UConn's is a pretty *bad* 2-6. What is there left? Well, it's time for Army to make a statement. Sure, they haven't done well in new Yankee Stadium - sure they've played themselves out of the CIC trophy and bowl hopes for this year - but there will come a time when Jeff Monken's squad will have to make a statement. Say what you will about the revolving door and injuries at key spots on both sides of Army's football... there will come a time where the Army football team will have to stand up and grow some hair. For me that's this week. Yankee Stadium game - it's a chance for the Black Knights to exorcise the demons of that venue. You get a UConn team - who has been beatable every week this year - with a train trip or bus trip road game however you want to call it, riding the high of knocking off a decent UCF team last week. No secret how they pulled that off- it was by capitalizing on the same turnover bug that has set Army back for as long as I can remember. So forget about the post season or a CIC championship; forget about the seniors - they will have their day. Saturday is about the program making a statement.The first steps for Jeff Monken's Army team are taken on Yankee Stadium turf tomorrow at 3:30. The Army game notes (.pdf) are up.